BookBrowse interviews The Reading Rock Book Club in Dickson, TN, celebrates two years together this month. 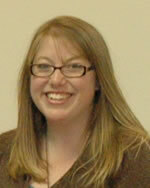 Laura Hill, owner of Reading Rock Books, joins us to talk about her group. about all aspects of their book club. 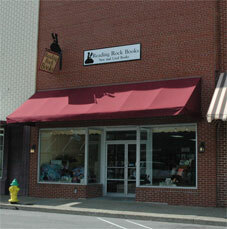 The Reading Rock Book Club in Dickson, TN, celebrates two years together this month. Laura Hill, owner of Reading Rock Books, joins us to talk about her group. Your book club's first meeting was one month after your bookstore opened for business. Did you know you were going to start a book club when you opened Reading Rock Books? Shortly after we opened our store, we were approached by Jeremy Spencer, owner of the local coffee shop/café/hang out called House Blend, about starting a book club that would meet in his shop. At the time, we were in a smaller location with no room to hold a meeting. After we moved into a bigger location, right next door to House Blend, we started holding the meetings in the store. Now we also host a Christian book club and a mystery book club. Our meetings still start with a slow trickle of members arriving, coffee in hand. I love that local, homey aspect of our group. We're a diverse group! Typically, we range in age from 20's to 70's, with surprisingly different backgrounds. We have a solid core group of about a dozen members. We generally have at least fifteen people at each meeting, sometimes more. The group is almost all women, though men are welcome and we do have one gentleman who faithfully attends every meeting. We're a fun group. We read a lot of serious books, both classic and contemporary, but our meetings still tend to be full of laughter. Starting a group with people that don't know each other and watching them become friends is really a beautiful thing. We have a few members that met through book club and went to see the Twilight movies together. We even have two members that met through our book club and will be traveling to Greece together this fall! We read classics, contemporary literary fiction, and Southern fiction. We've only ever read fiction, but that hasn't been by design. To choose books, members each give me three suggestions at the December meeting, I compile the list, and then everyone votes for ten books. The eleven books with the most votes are our books for the year, February through January. (We only need eleven because we have one meeting for November and December) Our only real rule in selecting books is that they are available in paperback; however we're reading The Help in September because the paperback release date was pushed back. When we first started, we chose our books month-to-month, which was a terrible idea. We spent way too much time talking about the next book and our decisions still felt rushed. Voting for a year's worth of books at one time was an easy fix. One of our best discussions was about The Piano Teacher. We all enjoyed the book, which always helps, but it's such an intricate story that we spent the whole meeting unhatching different plot points and discussing our own interpretations of what had happened. It was one of those times when the book club truly enhanced the book. We tend to have good discussions over books that are relatively open-ended. The Road, for example, left so much to the imagination. Whereas, when we read The Maltese Falcon, we had very little to talk about, even though we all enjoyed it. Favorite books of the group? The Secret Life of Bees, Water for Elephants, Cold Sassy Tree, and The Book Thief are titles that I think everyone enjoyed. Are there any books that bombed? The Monsters of Templeton really didn't work for us. Literally, I was the only one who finished it. A couple of people ran out of time, but most everyone else ran out of motivation. No one liked the main character. A Tree Grows in Brooklyn didn't work either. The book is just so long and covers so much time and territory. Our meeting had no focus and our discussion was flat. What do you do in a case like that, when most people haven't finished the book? I don't think we've ever had anyone come that didn't read at least part of the book, and we always have enough people who've read the whole book that it never seems to change the meeting very much. Even for The Monsters of Templeton, we still had a relatively good discussion - and we always have fun. Tell us about a typical meeting. I lead the discussion, in that I bring a list of questions and try to keep tangents to a minimum, but I like for the discussion to flow on its own. We start with any club business, so to speak, such as what book we're doing next, and allow for latecomers to arrive before we get to the book. Depending on the book, we may breeze through my questions and realize we have nothing to say, or we may never get to my questions, as more members pull out their notes and ask their own. The Guernsey Literary and Potato Peel Pie Society, The Help, Bel Canto, Pride and Prejudice, and A Good Man Is Hard to Find are the books we'll be reading from now until January. Our group still feels too young for me to be giving advice. I will say that I've learned a lot from starting this club. People (at least the ones in my group) like to be challenged to read things that they might not have otherwise read, but it's also good to mix things up and not challenge the same people two months in a row. That may sound obvious, but it took a while for me to get it right - if I have yet! It sounds like you have! Congratulations on 2 years as a group, and 2 years in business. Here's to many more!